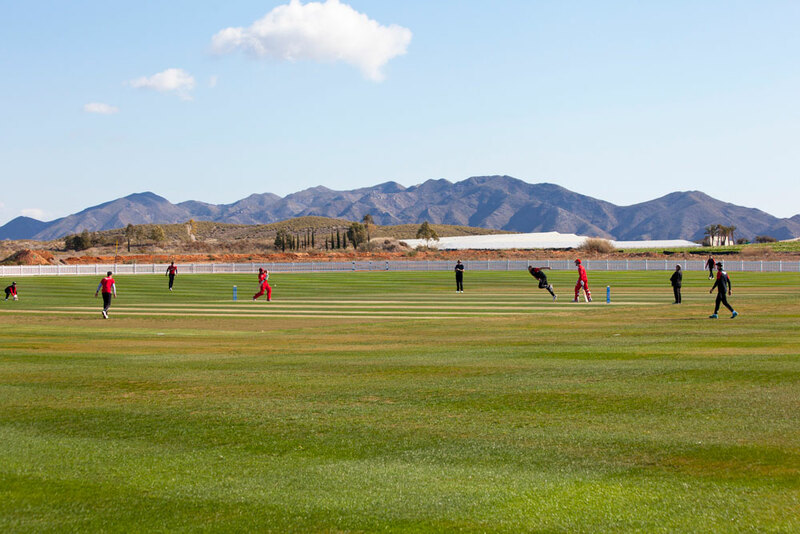 With the domestic cricket season drawing ever closer, Lancashire County Cricket Club will be stepping up their preparations for the 2019 campaign by completing two separate four (4) day warm weather training camps at the Desert Springs Cricket Ground & Academy between Wednesday 6th – Sunday 10th February and Wednesday 27th February – Sunday 3rd March 2019. Each of the Lancashire CCC training camps will comprise eight (8) players and three (3) coaches, all of whom will be spending their time completing a specific and carefully planned programme of numerous training sessions each day covering technical skills, bowling and batting, strength and conditioning and both individual and group activity. As they will be outside and on grass, the squad will also be able to do fielding and throwing practice in realistic conditions on the Desert Springs Cricket ground, something not possible indoors back in the UK. The players and coaches will be accommodated in some of the privately-owned Villas and Apartments at Desert Springs and the resort’s executive chef will be on hand to cater for the special dietary requirements of individual players dining in the Crocodile Club Restaurant. “Since their inaugural visit in 2013, Lancashire CCC have become both a regular visitor to, as well as a great supporter of Desert Springs Resort and the development of its cricket facilities.